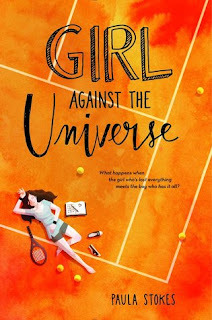 Google+ Reading Teen: Blog Tour: GIRL AGAINST THE UNIVERSE by Paula Stokes // Where Becca Is Reminded that P. Stokes Is A QUEEN At Writing..
Blog Tour: GIRL AGAINST THE UNIVERSE by Paula Stokes // Where Becca Is Reminded that P. Stokes Is A QUEEN At Writing.. Welcome to the first stop on the GIRL AGAINST THE UNIVERSE Blog Tour, hosted by Irish Banana Reviews. You have no idea how ridiculously excited I am to be on this blog tour, because this book.....I CAN'T EVEN WITH MY LOVE FOR IT. Thank you so much Hanna and Paula for having me on this tour! Check out my review full of all kinds of fun FANGIRL-ING and then enter a sweet giveaway below! This review is basically going to be a huge fangirl fest for Paula and especially GIRL AGAINST THE UNIVERSE, so you've been forewarned. Girl Against the Universe, is, without an ounce of doubt, my favorite contemporary book so far this year. I was blessed enough to receive a copy very early in the year. I think this was actually my first 2016 read, and I'm secretly blaming Paula for my book slump, because HOW DOES A BOOK TOP THIS ONE? Let me tell you, it doesn't. It's that phenomenal. Maguire has been through a ton of extremely unlucky events throughout her life, and in return has developed a way of thinking of herself as 'bad luck'. As a result, she has been trying all kinds of good luck rituals for awhile; charms, four leaf clovers, etc. You name it, she's done it, and despite that, unlucky things continue to happen. Causing Maguire to determine that she's the 'unlucky' variable in life, and forcing herself to hide out in her room to avoid meeting new people. 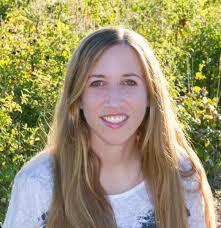 Until she meets Jordy,an aspiring tennis star, who is convinced he can help break Maguire's bad luck streak. Maguire's story is heart wrenching and completely understandable when it comes to the way of the thinking that she has. Shoot, horribly unlucky things happen to me all the time (it seems like) and I always joke that I have horrible luck, but now, I've started to question that joke. Yeah, horrible things happen but what I do doesn't ultimately mean that it's just 'luck'. Sure it may seem that way, but instead of thinking that just because you're there is the reason is ridiculous. You make your own luck by putting yourself out there. How it ends up isn't related to that at all. It's just making you miss out on life in the long run. I love that message so much it hurts. Plus, there's a real life blogger appearance (my friend, Pili the nurse!!) inside these pages, so you should definitely freak out about that. A major thing with me and contemporary stories is that I have to have some major swoonage going on or I'm not going to SCREAM HOW MUCH I LOVE IT FROM THE ROOFTOPS. It just doesn't do it for me not to have some ships and some swoons and some major k-i-s-s-i-n-g and some fan-yourself-worthy chemistry. hello run on sentence. Girl Against the Universe has such a perfect amount of ALL THESE THINGS that apparently I cannot grammar correctly when talking about it. Look, I'll stop this fangirl-ing review before it gets too out of hand. I will say one last thing about Girl Against the Universe, and then I'll quit. (Maybe.) Paula Stokes is an under-rated author. I NEED MORE OF YOU TO READ HER BOOKS. Not only because she is one of the most genuinely sweet, friendly, down-to-earth authors I've ever met, but because she is a PHENOMENAL writer. I don't know how she is flying under the radar and hasn't listed yet, but WE NEED TO FIX THIS ASAP. No matter what genre (hello, mystery, contemporary, sci-fi, historical fiction, contemporary) she writes, it's really really ridiculously amazing. I don't think I've ever said that about an author before, but I genuinely mean it about Paula. Plus, it's the first author I can honestly recommend for anyone who is new to a certain genre they aren't sure is there thing, and mean it for literally most YA genres. Don't trust my fangirl-ing. Trust Maguire and Jordy in Girl Against the Universe, and pre-order it RIGHT THIS SECOND. Luck had nothing to do with me finding Paula's books, it was a review like this one. Maybe you finding my review about Girl Against the Universe (aka the book that reminded me that P. Stokes is a QUEEN at writing) will be the same for you. I HOPE SO!! !